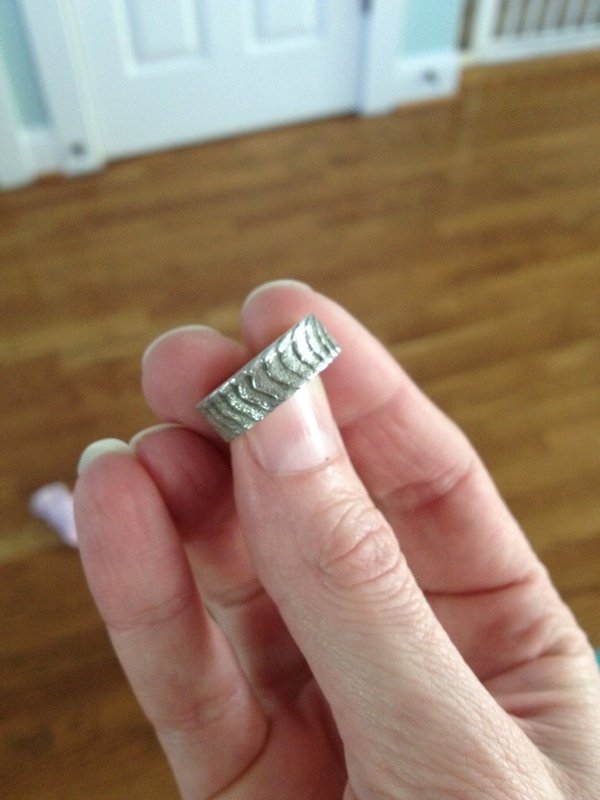 This week I branched out and tried something I’ve been interested in for quite sometime … metal casting. I decided to start small and go somewhat old school. After researching a few of the more primitive methods of casting, I chose cuttlebone casting for several reasons. First the casting medium was relatively common (which turned out not to be the case), it’s easy to work with, and the cuttlebone can be used to impart a characteristic layered look to the metal. The process is fairly simple (though there is a good bit of trial and error involved). Essentially you create a clam shell mold from two sections of cuttlebone (sanded flat so that they fit tightly together – more sections can be used for more complicated pieces). Carve the desired shape into one or both halves of the mold, carve the sprue, vent channels, line it all up and wire the assembly together. Once that’s done, melt your metal to the correct temperature (in this case sterling silver ay ~1800F- 1850F) and pour into the mold. There will be a good bit of trial and error involved – it took 10 tries to produce the initial band used to make this ring. 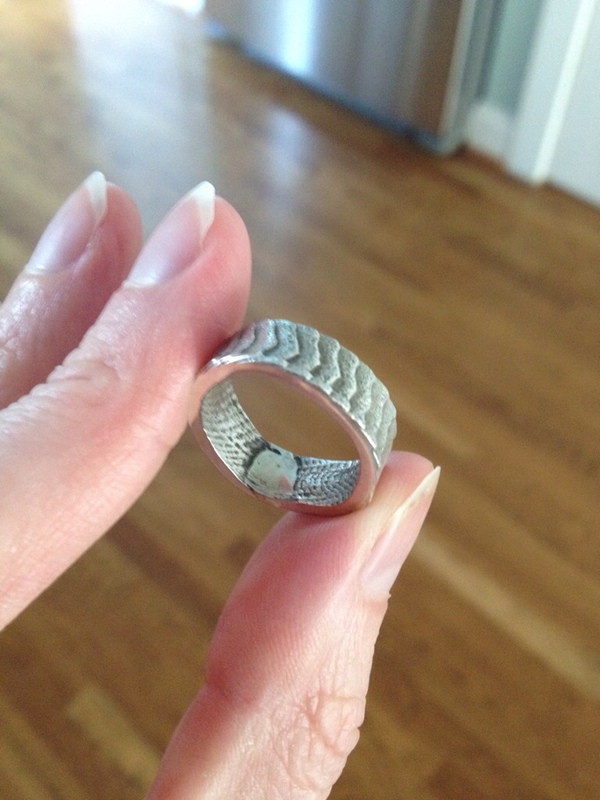 Rolling the ring to size and soldering it into a continuous loop were probably more of a challenge than the casting. As you can see in the image below the solder joint is somewhat hard to disguise, especially with the surface variation imparted by the cuttlebone.